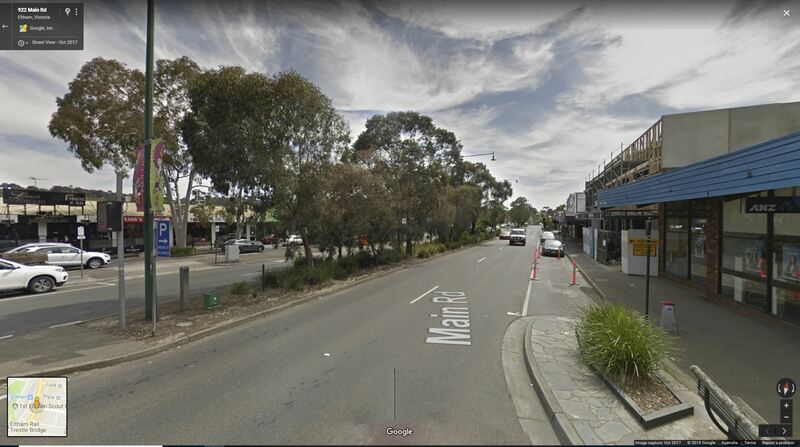 Maria Street | Eltham District Historical Society Inc. While travelling along our local streets do you ever wonder why or how these were named? Let us have a look at some. Josiah Holloway was responsible for the 1851 Little Eltham sub division that now comprises the Town Centre. His wife’s maiden name was Susan Maria Bible and his brother-in-law was Arthur Bible, so this explains the origin of Susan, Bible and Arthur streets in central Eltham. Part of Main Road was also originally known as Maria Street. Brougham Street in Eltham was named after Henry Brougham, a British statesman who became Lord Chancellor of the United Kingdom. Among other things he actively worked to promote the abolition of slavery, helped establish the French resort of Cannes and was also responsible for designing the four-wheeled horse drawn carriage that bears his name. The western section of Brougham Street was named Wellington Street in Holloway’s subdivision, presumably after the Duke of Wellington, but was later changed so that Brougham Street was continuous. The name of Shalbury Avenue off Beard Street in Eltham is the result of the combination of the names of Jack Shallard and a Mr. Bradbury who subdivided the land in that area. Mr. Bradbury’s family came to Eltham in 1913 and one of his sons (Ron) had a medical practice for many years at the corner of Main Road and Brougham Street, where there is now a restaurant. 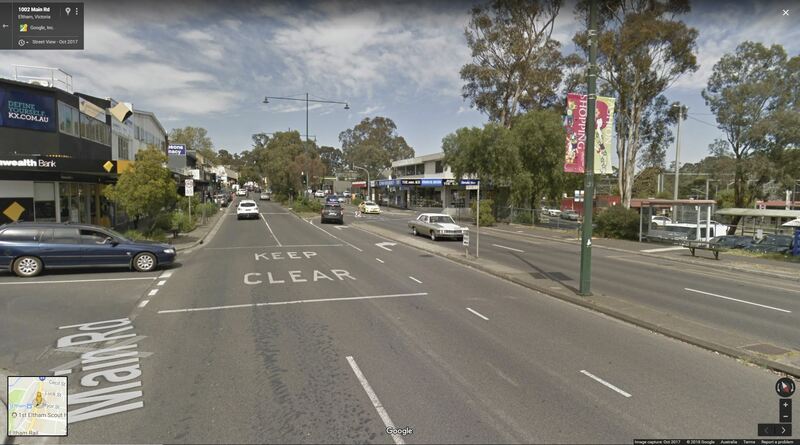 When Mrs. Theo Handfield subdivided land in 1924 to the west of the Diamond Creek in Eltham she named Peter Street and John Street after her two sons. However, the name of John Street was later changed due to possible confusion with the other John Street off Main Road. It then became Fay Street, after Fay Harcourt the wife of the well-known local builder John Harcourt. 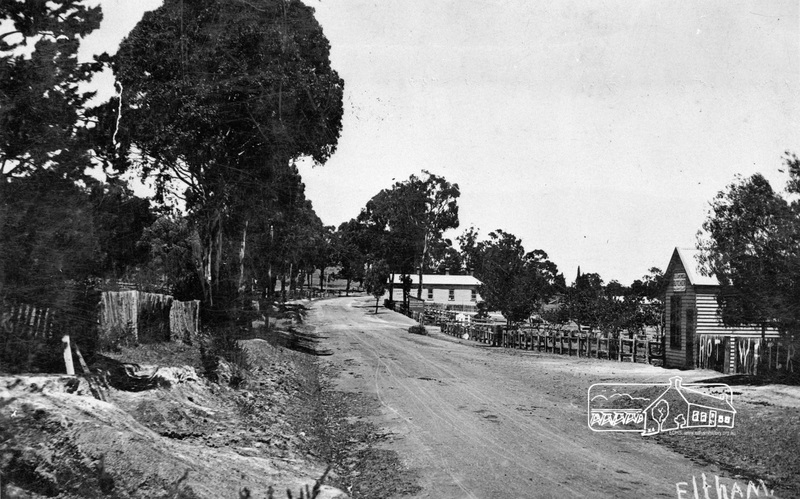 Bells Hill Road at the eastern end of Main Road, Research was once part of Mt Pleasant Road. It was re-named in the 1990s because it was separated from the main part of that road. Bells Hill is the hill in Main Road rising up from Research to Kangaroo Ground. John Bell of the pioneer Bell family of Kangaroo Ground and Yarra Glen lived at “Violet Bank”, the first of the Kangaroo Ground properties at the top of the hill. 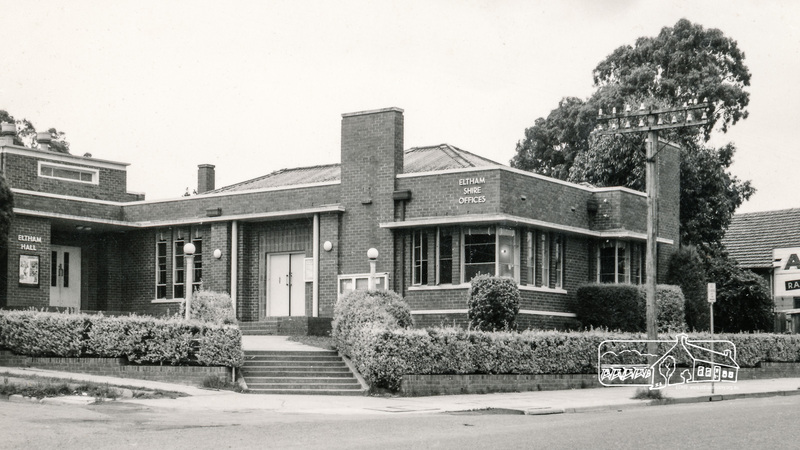 In November 1985 a monument was installed near the corner of Main Road and Pitt Street in Eltham, within the gardens at the front of what is now the Eltham Community and Reception Centre. This monument commemorates Victoria’s 150th anniversary and the former location of the Eltham Town Centre, which existed along this section of Main Road, then known as Maria Street. Beneath the site is a time capsule to be opened in the year 2035. A plaque was also erected at this site in October 1987 to commemorate the Shire of Eltham Historical Society’s 20th anniversary. The main feature of this monument is a ‘tyring disc’, a blacksmith’s implement that was found on this site. This consists of a large iron disc that was used as a platform for fitting iron tyres (like the one shown on top of the platform) to wooden spoked cart wheels. The local blacksmith and wheelwright worked together to assemble the wheel, which was clamped to the platform placed close to the fire. The red hot iron hoop, previously forged to the correct size was lifted with tongs by the blacksmith over the outside of the rim, then hammered down amid flames from the scorching timber. The wheelwright drenched the tyre with cold water as soon as it was in position. 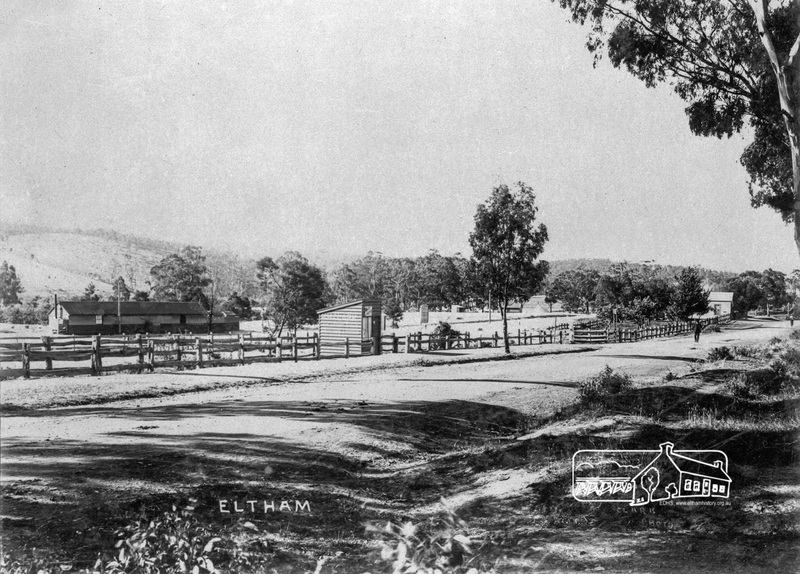 The Shire of Eltham Historical Society was originally established in 1967 to cover what was then the Shire of Eltham and its early activities extended over the whole Shire from Lower Plenty to Kinglake. 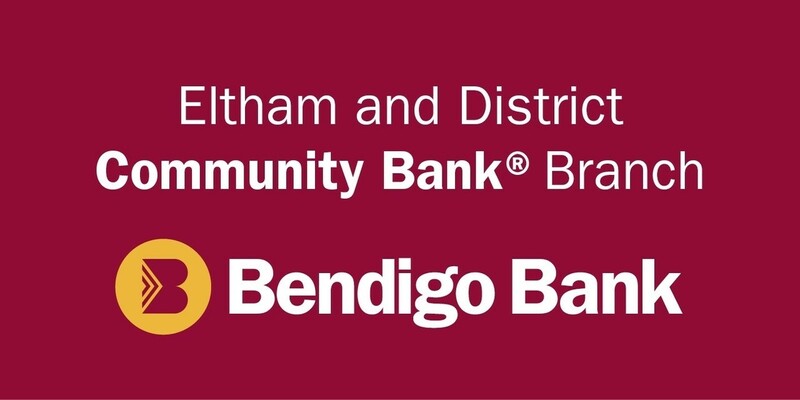 The establishment of other local historical societies as well as municipal restructuring in 1994 has meant that the Society’s activities are now more confined to the Eltham district, which includes Eltham, Research, Kangaroo Ground, Montmorency, Briar Hill, and Lower Plenty. 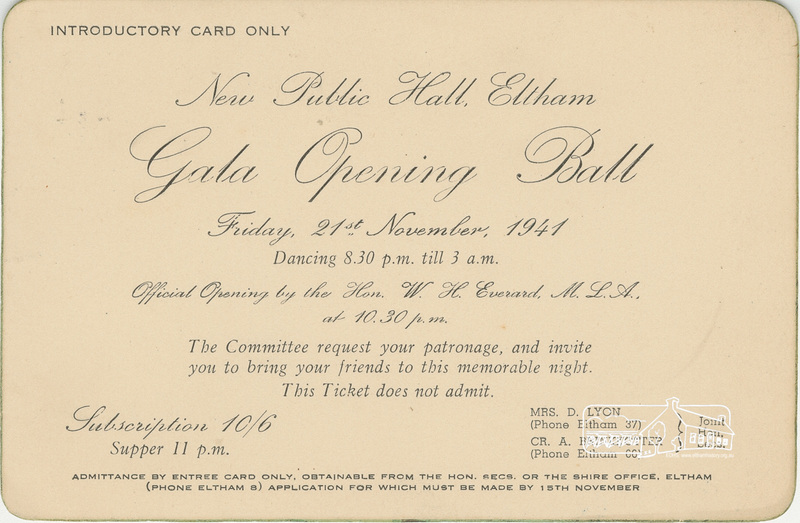 While this is reflected in the later change of name to the Eltham District Historical Society our collection of local records extends to cover the whole of the former Eltham Shire. Blacksmith’s shop, Main road, opposite Pitt street. Left Bill Baker, Right, Sid Brown.